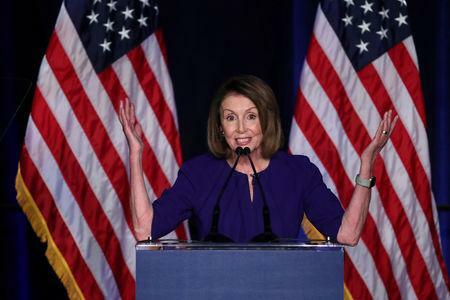 House Democratic leader Nancy Pelosi has announced her intention to return as House speaker and so far has no challengers. As speaker, Pelosi, who has been has been skeptical of trade deals in recent years, will be responsible for bringing to the House floor a vote on the recent deal to revamp the North American Free Trade Agreement next year. While she voted for the original NAFTA in 1993 and a U.S.-South Korea trade deal in 2011, she opposed the 2015 Trans-Pacific Partnership trade deal. She has pledged to "closely scrutinize" the new U.S.-Mexico-Canada Agreement. 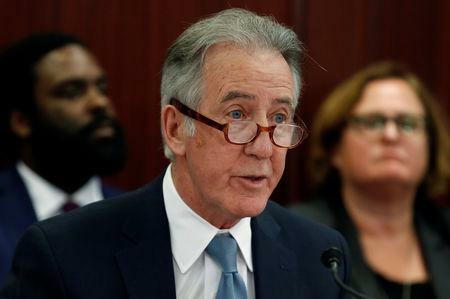 Pelosi also has applauded Trump's initial round of tariffs against China, citing the need to combat China's "brazenly unfair trade policies"
Richard Neal of Massachusetts is expected to become chairman of the House Ways and Means Committee, one of the most powerful trade posts in Congress. A 30-year House veteran with 25 years on the panel, Neal opposed the original NAFTA. He has said that the "bar for supporting a new NAFTA will be high," and that he will insist on stronger enforcement of labor and environmental provisions. He also has pledged that Ways and Means Democrats will more often question Trump administration officials on their trade strategies, including how best to deal with China's trade practices. 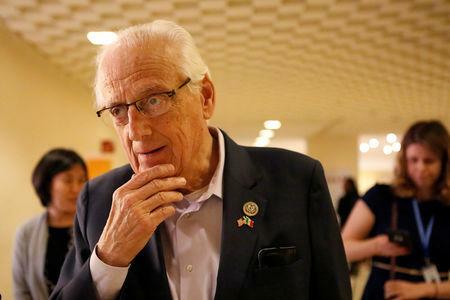 Representative Bill Pascrell, of New Jersey, a more traditional pro-labor Democrat, is seeking to head the Ways and Means trade subcommittee, where he now serves as the ranking Democrat. However, two other Democrats on the panel, Earl Blumenauer of Oregon and Ron Kind of Wisconsin, are weighing whether to seek the post, according to House Democratic aides. All three have expressed concerns about Trump's China tariff strategy while acknowledging the need to take a tougher line to halt intellectual property theft. "I fear a chaotic and seemingly ad hoc trade policy will be ineffective in confronting China," Pascrell said in June. Senator Chuck Grassley, an Iowa farmer and fixture in the chamber, has yet to announce his decision whether to return to chair the tax-and-trade-focused Senate Finance Committee or keep the gavel of the Senate Judiciary Committee. A return to Finance to replace the retiring Orrin Hatch would bring a stronger voice advocating on behalf of farmers and ranchers who are being hurt by Trump's tariffs against China and on steel and aluminum. Grassley has said Trump's tariffs are "very, very detrimental" to his home state, but has also been highly critical of China's trade practices, expressing hope that Trump's trade strategy works. As a corn and soybean farmer, Grassley has applied for a piece of the $12 billion in federal aid for farmers, while criticizing the program for allowing Chinese-owned Virginia-based pork producer Smithfield Foods to take part. If Grassley decides to remain chairman of the Judiciary Committee, Senator Mike Crapo of Idaho would be next in line to head Senate Finance, trading in the gavel of the Senate Banking Committee. Crapo was one of only 11 Republicans to vote against a non-binding measure that sought to limit Trump's tariff powers. As Banking Committee chair, he shaped a bipartisan law this year to strengthen national security reviews of U.S. acquisitions by foreign companies, aimed at thwarting China's purchases of sensitive technologies -- a key complaint in the U.S. trade dispute with China. Crapo also has advocated for trade rules favoring Idaho's potato, lumber, dairy and sugar interests. The House Ways and Means Committee will undergo significant changes as several key Republicans depart due to retirements, election losses and a governorship. Republicans leaving are Dave Reichert of Washington state, Sam Johnson of Texas, Peter Roskam of Illinois, Lynn Jenkins of Kansas, Kristi Noem of South Dakota, Erik Paulsen of Minnesota, Diane Black of Tennessee, Carlos Curbelo of Florida, Mike Bishop of Michigan and Jim Renacci of Ohio. Kevin Brady of Texas, the current Republican chairman, is expected to stay on as ranking member. Two Democrats are also departing, Sander Levin of Michigan, who is retiring, and Joe Crowley of New York, who lost a primary race. Replacements will be determined by Republican and Democratic leadership in the House, with seniority playing a role in selections.